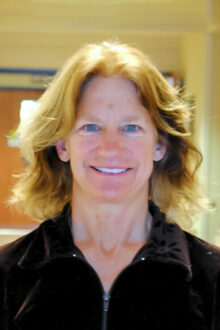 Marcia Ready graduated form the University of Wisconsin school of Physical Therapy and has since worked in Taos. In her practice she emphasizes manual therapy, individualized exercise programs, patient education and prevention strategies and has a certification in dry needling. Marcia was instrumental in advocating for the warm water therapy pool that is now accessible to the community at the Youth and Family Center. Clinical interests include post surgical rehabilitation, non-surgical management of musculoskeletal conditions, sports rehabilitation and fall prevention. Being an athlete herself she understands the relevance of getting people back to what they love to do.